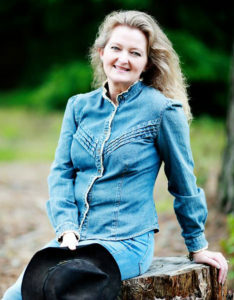 Martha Jane Cannary. Name doesn’t ring a bell? 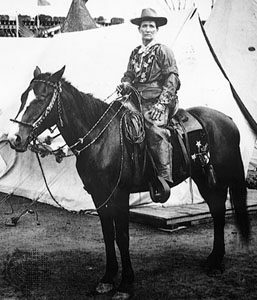 Then you might know her by her legendary moniker “Calamity” Jane. Ever wonder how she got the name? 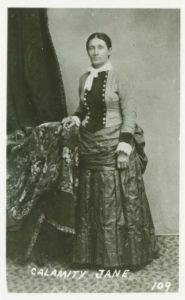 Martha Jane Cannary (known as Calamity Jane) in stylish ladies’ dress. Cannary was born in 1852 in Missouri. In ’65 her family sold out and headed to Montana with a wagon train of eager settlers. According to her memoirs, even at that young age, Martha Jane was all about excitement and danger. She rode with the men on hunting parties, and never slowed them down or got in the way. A real frontier gal. Good thing. Her mother died on that trip and her father passed away two years later, leaving Martha Jane to raise five siblings. 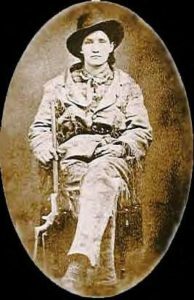 A fine horsewoman, crack shot, and skilled tracker, she fell in with army soldiers and was welcomed into the company of General George Crook, possibly even Custer himself. To an extent, she had found another family. Though there are multiple versions of how she was dubbed “Calamity,” the earliest one sprung from her time with the army. According to her, she pulled a wounded Capt. Egan from his saddle during an Indian ambush and galloped back to the fort with the man. The captain, grateful for the rescue, thanked her for saving him from such a calamity and dubbed her “Calamity” Jane. Fuzzier stories claimed she was a disaster-prone hellion. A Chicago newspaper reporter said the name had slipped from the lips of a rival scout when Martha Jane “wandered off” during a military campaign on the Powder River. Being a writer, I like to think I’m a fair judge of human nature. We leave clues all the time to the kind of person we are. 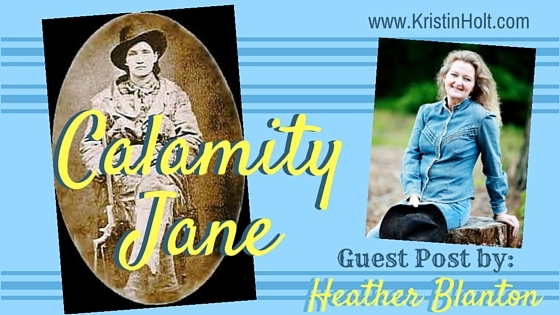 So what are the facts surrounding “Calamity” Jane and how might she have really gotten her name? We know she could outride, outshoot, outdrink, and reportedly even outfight most men. She was loud and rough around the edges. (Remember, she was orphaned at 14, a time when girls need their mother the most.) She was arrested more than once for public drunkenness. She was a legitimate army scout. She was known for her generosity with whatever possessions she had—money, food, shelter. In Deadwood, she rescued a stagecoach from an Indian attack and selflessly nursed sick neighbors through a bout of smallpox. Uh, yeah, that’s a little hard to swallow. At least, that’s how I would have written it. CHOICES HAVE CONSEQUENCES… EVEN FOR THE REDEEMED. When Charles McIntyre founded Defiance, he was more than happy to rule in hell rather than serve in heaven. But things have changed. 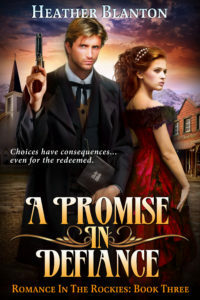 Now, he has faith, a new wife…and a ten-year-old half-breed son. Infamous madam Delilah Goodnight wants to take it all away from him. How can he protect his kingdom and his loved ones from her schemes without falling back on his past? How does he fight evil if not with evil? For Tillane and McIntyre, finding redemption was a long, hard road. God’s grace has washed away their sins, but the consequences remain and God will not be mocked. For whatsoever a man soweth, that shall he also reap…and the harvest is finally at hand. 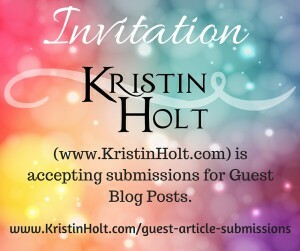 Great guest post and interesting to know more about her name. Thank you! I enjoyed Heather’s research and well-written article, too.